Whilst hunting for a job, a single letter of recommendation can turn your job preference upside down. It forms the most integral part of your job hunting process. As a job seeker, it is of utmost importance to acquire good letters of recommendation in order to bag the job of your choice. Now what is a letter of recommendation? Why is there so much of hype about having a letter of recommendation? Let’s take a closer look at understanding the pros and cons of a ‘letter of recommendation’. For a fresher, a letter of recommendation is nowhere to be found within his/ her limits. However, such is not the case with a candidate who has been working for a couple of weeks/ months/ years. A letter of recommendation is a most important asset of one’s job preferences. A letter of recommendation can either be of great help to you and hold on to the job of your choice. Or it might leave a bad impression on you, thus risking you of the job of your choice. A letter of recommendation can work either ways. It is up to your behavior at any workplace that determines the positive or negative impact of it. It is of utmost importance that you shape your attitude in such a way that it helps you in bagging the dream job you have been waiting on for. 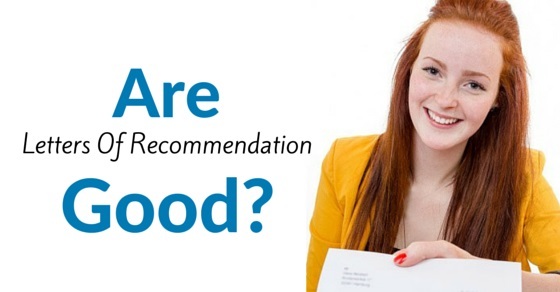 What Helps for a Good Recommendation Letter? What would you like to see in a letter that has a recommendation especially for you? The warm things about you are what you would wish to hear, preferably. All strong letters provide a vivid sense of what helps the recruiter to know everything about hiring the candidate that could be used as a base of a productive interview. All sorts of specific information about the candidate/ applicant should be given. It must cover all the strengths and weaknesses (preferably) leaving not a single inch of doubt in the minds of the recruiter. Also, this information will be helpful enough for the committee members of the recruiter’s company to know about the candidate in every way possible. Thus, lending a helping hand in shaping the interview and taking it to another level. This forms the crux of any letter of recommendation. The one who is providing the recruiter with a recommendation letter should give all sorts of information about how he came in contact with the applicant. For how long and for which purpose was the applicant known to him must also be mentioned in the recommendation letter. Class work, civil work, research work or any other context by means of which the applicant and the person writing the recommendation letter knew each other. This sort of information plays a passive role for knowing more about the applicant. It plays a role much higher than what could be possibly concluded out of a resume. For instance, actions and incidents that are unique in this relationship are to be mentioned which are ultimately more credible than what could be gathered out of a resume. The writer must throw light on the positive aspect of the applicant as to how he/ she are devoted in bringing up a particular topic of interest under notice. Also, the applicant’s way of tackling situations under crisis should be given utmost importance. The writer must portray the positive qualities of the applicant whilst writing a recommendation letter to the recruiter. Writing all possible ways of why the applicant is a better option for the recruiter is a must. The writer must mention all the good points so as to why hiring him/ her would be beneficial to the company he/ she would wish to work for. The writer must exemplify the applicant’s personal qualities in a positive way along with specific examples that are crucial enough. The writer must provide ample knowledge to the recruiter about the applicant’s performance in the past couple of working years. He/ she must also provide knowledge about the course or study which the applicant has mastered in which would indirectly pave way and serve as a link for the past and future performances by the applicant. The writer must also not forget to mention the list of colleagues who have been fortunate enough to work with the applicant. A recommendation letter from the professors of colleges or the ones who have taught the applicant for a couple of years should also be taken into consideration. What Hurts in a Letter of Recommendation? There are certain letters of recommendation that hurts more as they are cold enough to be properly described about the applicant. Such letters of recommendation fail to garner attention among the recruiters. As the recruiters and the applicants have a little amount of 30 second each to showcase the power of their letter of recommendation, what hurts most is a bad letter. Letters that are too short fail to garner the attention of the recruiter. Such letters come under the category of mediocre letters. They provide one liner information which creates a barrier whilst exploring the in depth qualities of the applicant by the recruiter. Also, sometimes such letters fail to provide adequate information that is to be expected by the writer. Incomplete letters such as the ones that fail to provide necessary information hurt way too much. For instance, the writer might just mention the percentage marks secured by the applicant in a column. There is no mention of how well or bad the applicant might have performed in his/ her initial years. Such incomplete information on the part of the writer causes severe problems in understanding the applicant’s behavior and nature towards a particular subject of interest. Sometimes, it so happens that the writer mentions about a particular topic and goes off track about mentioning the same topic over and over. This causes the recruiter to think twice over the applicant. There is no specific information about the applicant’s overall behavior, but just one thing, bragging about one topic infinite times. There is no sign of the writer’s way of praising about the applicant’s accomplishments. A writer might just provide with a letter of recommendation for namesake. There is no such detailed description about the applicant’s work in the letter as such. For instance, “I am writing to you to recommend Mr. XYZ to your firm.” That’s it. No more description about the applicant whatsoever. Here are some letters which lack in praise. They praise, but they have a sheer sense of faint praise. Or just in case, someone has asked you to praise; hence the praise. Kind words are nowhere to be found in the letter of recommendation, neither helpful ones. It is just a matter of fact that the letter lacks in each and every way possible to pave way for the recruiter to choose the applicant to be placed on a position in their firm. These are the worse types of a recommendation letter. Nothing can be as worse as this. It covers all possible ways of implying criticism on the applicant. This hurts the most out of which could have been a productive letter of recommendation. Committee members and recruiters do not miss any opportunity of spotting a remark which has not been well appreciated which might put the applicant’s job at risk. A letter of recommendation can either help you in paving way to your desired job or vice versa. A letter of recommendation is strong enough and helpful to build your job preference in any company whatsoever. Always remember to offer a piece of thanking to the one who composed your reference letter, as they took time of their busy schedule in drafting a recommendation letter for your own benefit. Also, the strength of your reference letters matters the most. And yes, letters of recommendation are good enough to shape your career to either the best or the worst. Are letters of recommendations really good enough for a candidate to bag a job of his choice? Yes, absolutely. Although, it depends merely on the way a recommendation letter is been presented to the recruiter. After all, that’s what counts for a recommendation letter, they say!